Both of my Forex training courses offer students the earn while you learn Forex trading option. This is basically an option to copy my trades while you are still learning. Every week i set myself a target of 100 pips per week, but more often than not i will far exceed that target. As a new student you will have the option to copy my trades, and bank the same pips as i bank. Earn while you learn students will get unlimited access to my live trading room for life. While you are in the room, you will not only be getting the chance to copy my trades, you will also be getting additional training too. I run live market training sessions every week. In these live market training sessions, i will be teaching you the same stuff as you get in your one to one lessons, to further develop your understanding of the market. Students often tell me that the benefits of the earn while you learn trading option really turbo charge their learning curve, and to be able to make money at the same time is a real bonus. 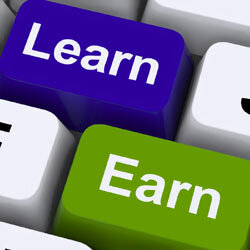 The earn while you learn Forex trading option is available to all new students for a one off payment of £1000. This payment is in addition to the cost of the one to one training.